On the TARL Blog you can expect to read posts about interesting aspects of the many different artifact collections that we curate. We will post interesting facts and information about specific collections, sub-collections and individual artifacts as we come across them in carrying out our work. Many of these you may already have some familiarity with or have read about previously. We will try to include interesting new facts, photographs or comments from records, staff and affiliated researchers who have contributed to these collections over the years. We will also be including posts and information pertaining to artifacts and objects in the TARL collections which originated from beyond the borders of Texas. 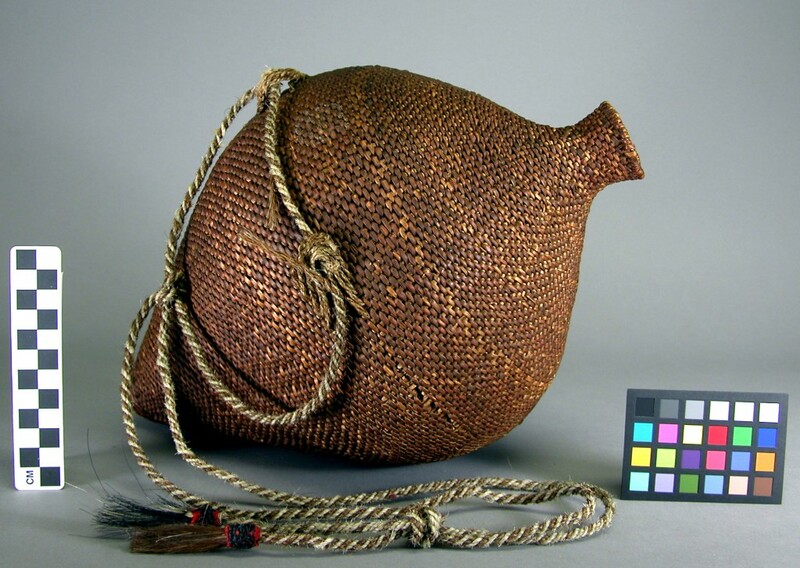 Check back often as we update the blog to increase public awareness of the diversity of archeological and ethnographic material culture curated here at the Texas Archeological Research Laboratory. Whenever appropriate we will attempt to include direct links to the webpages within the virtual museum Texas Beyond History that correlate to specific artifacts, sites or collections. And remember, the Texas Beyond History website, http://www.texasbeyondhistory.net/, is a valuable resource for learning about the history of Texas and the direct relationship that exists between artifacts and their cultural and geographic landscapes. 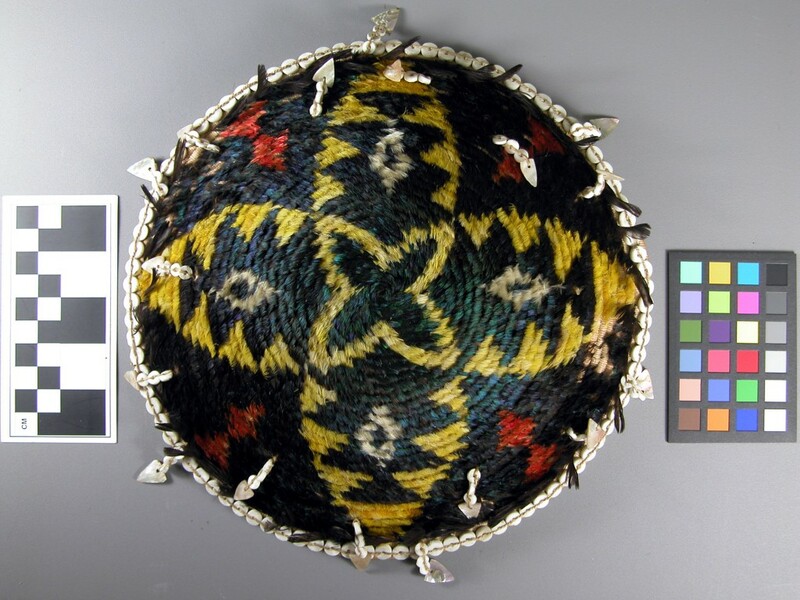 Pomo feather-decorated basket; modern, ethnographic collection, TARL. Frederic Allen Williams, collector. ‘Water bottle’ attributed to the Havasupai of Arizona; modern, ethnographic collection. Paul Seashore, collector. 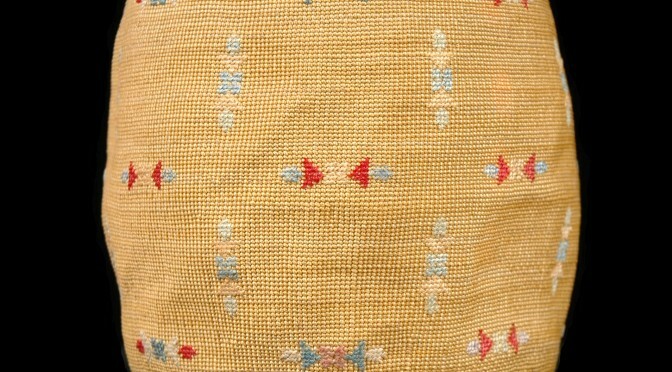 A feathered hat attributed to the Pomo of California; modern, ethnographic collection. Paul Seashore, collector. 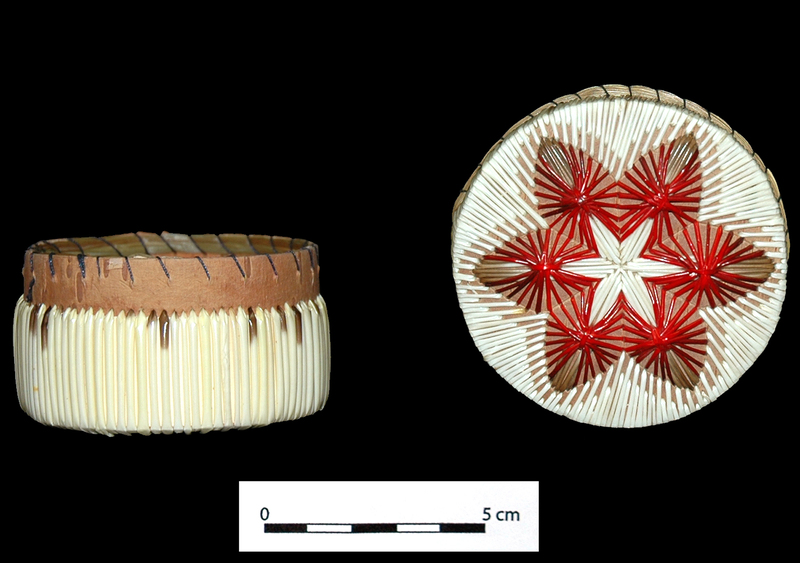 Small porcupine quill basket with lid, attributed to “Arctic/Northwest Coast” cultural group; modern, ethnographic collection. Frederic Allen Williams, collector. 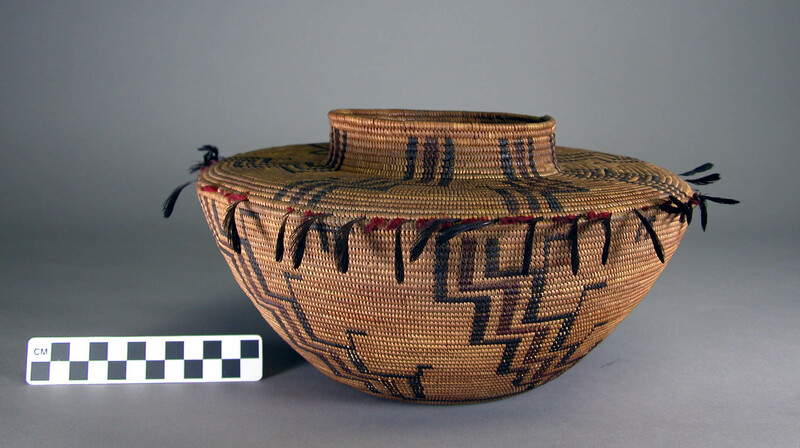 TARL has a collection of more than 250 baskets in its ethnographic collection representing numerous native North American groups from the Arctic regions of Alaska to the Puebloan cultures of the Southwest.